This is a stretch, but it can become like the phenomenon observed by many, including Lenin and Goebbels, that a lie told often enough becomes the truth. See "Proof by assertion" (Wikipedia, accessed August 30, 2012), here. I am not saying that nonprecedential decisions are lies, so the analogy is hyperbole. Perhaps the better analogy would be sloppy thinking (encouraged by the notion that nobody is listening or will care) if repeated often enough becomes the truth. The point of the article is that that which was deliberately intended to be nonprecedential can morph without critical thought into the precedential. Read the cited article. With respect to Williams in particular, the bar is much in arms about the direction it perceives is being pointed by the majority opinion in Williams. The Fourth Circuit itself said that the Williams decision was nonprecedential. I would think we could take the court at its word. But, this new article perhaps should give us some concern and may fan the fears of many that the majority "nonprecedential" decision in Williams is heading other panels and other courts in the wrong direction. A WHISTLEBLOWER who leaked sensitive client details from a secretive bank in Liechtenstein supplied critical evidence in a successful $21 million tax case against a Brisbane millionaire. The former bank staffer of LGT Bank in Liechtenstein, who cannot be named because of a suppression order, copied hundreds of names of clients in November 2002, giving three CD's filled with names to the Australian Taxation Office in October 2006. Seven months later the ATO raided the Brisbane home of former expat businessman Harold Murray and a massive tax audit began. The leaked details have been used in the Administrative Appeals Tribunal in Brisbane to successfully fight attempts by Mr Murray to avoid paying his tax between 1999 and 2007. AAT Deputy President Philip Hack SC ruled this week that the 70 year old from Pullenvale in Brisbane's west, must pay the $11 million in penalties and tax on $25 million in extra income he stashed in an LGT Bank account in Liechtenstein. The American Institute of CPAs alerted the Internal Revenue Service yesterday that erroneous letters from the Service to taxpayers filing a foreign trust form is a “widespread problem affecting numerous taxpayers.” The AICPA urged the IRS to investigate to determine the source of the processing problem so it could stop sending out the erroneous letters and to consider issuing an announcement that such erroneous letters do not require a response. “The letters are inconveniencing taxpayers and causing them to incur unnecessary professional fees when practitioners must respond to the IRS explaining why the IRS letters are incorrect and request an abatement of the penalties,” the AICPA said in its Aug. 28, 2012 letter to the IRS. The letters with erroneous conclusions are being received by taxpayers who filed Form 3520, Annual Return To Report Transactions With Foreign Trusts and Receipt of Certain Foreign Gifts, for 2010 and earlier years. The AICPA letter described six specific errors the IRS letters claim taxpayers have made, including filing Form 3520 late when it was filed on time. The following is a news release I received in the email today. I have bold-faced items that may be of particular interest to readers of this blog. Although not clear from the press release, the trusts he created may have been offshore trusts. See for a related blog entry involving the Genesis Fund, Atypical Foreign Bank Account Related Sentencing (4/5/12), here. Los Angeles- Today, Kevin J. Mirecki, 53, was sentenced to six months federal custody, one year of supervised release, and ordered to pay restitution of $206,419 to the Internal Revenue Service (“IRS”). Mirecki was also fined $20,000 by U.S. District Judge Dale S. Fischer for his failure to file Federal income tax returns. On February 9, 2009, Kevin Mirecki pleaded guilty to three counts of failing to file Federal tax returns. Mirecki failed to file an individual federal income tax return (Form 1040) and two corporate income tax returns (Forms 1120) for his companies Kevin J. Mirecki, Inc. and American & International Corporate Services (AICS). According to the plea agreement, Mirecki admitted he failed to report over $1.3 Million in personal income for years 2000 through 2003. Mirecki also admitted in the plea agreement that he created Genesis Fund Ltd. as a Nevis corporation and created trusts for four individuals charged in the March 2005 indictment. among other things, RICO conspiracy, conspiracy to commit mail fraud and honest services mail fraud, Hobbs Act conspiracy and Hobbs Act substantive violations, conspiracy to commit bribery in programs receiving federal funds, and conspiracy to obstruct justice. Dimora is also charged with conspiracy to commit wire fraud and honest services wire fraud; destruction, alteration or falsification of records in a federal investigation; mail fraud; and false statements on tax returns." Whew, that is quit a bunch of charges. Dimora offers lessons primarily for students of federal white collar crimes. 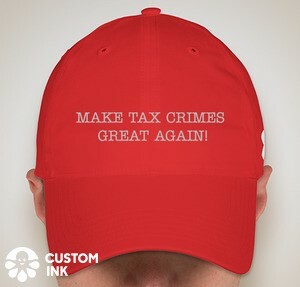 Remember, that tax crimes are just a subset of white collar crimes, and many of the issues presented in the trial of tax crimes are often present in white collar crimes (and vice versa). It is a very long opinion, and I really don't recommend that even students read it except to address a particular interest piqued by reading my summary of the key points. Although not explicitly authorized by the Federal Rules of Evidence or the Federal Rules of Criminal Procedure, the practice of ruling on motions in limine "has developed pursuant to the district court's inherent authority to manage the course of trials." Luce v. United States, 469 U.S. 38, 41 n.4 (1984). Motions in limine allow the court to rule on evidentiary issues prior to trial in order to avoid delay and to allow the parties to focus remaining preparation time on issues that will in fact be considered by the jury. Courts should exclude evidence on a motion in limine only when it is clearly inadmissible. If the court is unable to determine whether certain evidence is clearly inadmissible, it should defer ruling until trial so that questions of foundation, relevancy, and potential prejudice can be evaluated in proper context. Id. Ultimately, the determination whether to grant or deny a motion in limine is within the sound discretion of the trial court. In limine rulings are preliminary, and the district court may change its ruling at trial for any reason it deems appropriate. 1. "FinCEN owns and controls documents required to be filed pursuant to the Bank Secrecy Act (BSA), 31 U.S.C. § 5311 et. seq., including, but not limited to, currency transaction reports, casino transaction reports, registration of money services business, foreign bank account reports, suspicious activity reports, and, if filed after January 1, 2002, reports of over $10,000 received in a trade or business." 2. As of 1/3/12, FinCEN now is the agency to which requests for FBAR records must be made. The IRS no longer processes such requests. 3. The consequence of that "fact" is that the FBAR records are not IRS records and thus not "return information" subject to Section 6103's secrecy / confidentiality requirements until and unless they are use in an IRS investigation. If a copy of a BSA record is obtained by the IRS in the course of administering the internal revenue laws, then it becomes an IRS record, as well as return information subject to I.R.C. § 6103. As such, the IRS can certify the authenticity of such a record as a genuine copy of a record received from FinCEN. In order to obtain from the IRS a certified copy of a BSA record that has become part of a tax investigation file, and therefore subject to the confidentiality rule of I.R.C. § 6103, U.S. Attorneys must follow the procedures for obtaining an ex parte order pursuant to I.R.C. § 6103(i), if the record will be used in a nontax criminal investigation or proceeding. See I.R.C. § 6103(i)(1)(B). The Seventh Circuit today decided In re Special February 2011-1 Grand Jury Subpoena Dated September 12, 2011, 691 F.3d 903 (7th Cir. 2012), here, holding that the required records doctrine requires a taxpayer asserting a Fifth Amendment privilege to produce the documents required to be maintained under the FBAR statute. In this appeal, we are asked to decide whether compulsory production of foreign bank account records required to be maintained under the Bank Secrecy Act would violate appellee T.W.’s Fifth Amendment privilege against self-incrimination. Because we find that the Required Records Doctrine applicable to this case, we hold that T.W. must produce the subpoenaed records. The holding agrees with the Ninth Circuit's holding in M.H. v. United States (In re Grand Jury Investigation M.H. ), 648 F.3d 1067 (9th Cir. 2011), here. See my prior blog on the Ninth Circuit case: 9th Circuit Applies Required Records Doctrine to Defeat 5th Amendment Claim for FBAR Recordkeeping (8/19/11), here. In James v. United States, 2012 U.S. Dist. LEXIS 114356 (MD FL 2012), here, the court held that, whether defendant's alleged reliance on his accountant in failing to file Form 3520, Annual Return To Report Transactions With Foreign Trusts and Receipt of Certain Foreign Gifts, current version here, constituted reasonable cause to avoid the penalty for failure to file was an issue to be determined at trial rather than on the Government's motion for summary judgment. The penalty involved is Section 6677(a); the reasonable cause exception is in Section 6677(d) ("due to reasonable cause and not due to willful neglect"). Section 6677 in its entirety is here. The IRS "assessed penalties of $67,200, $281,750, and $230,000, for failure to file Form 3520 in years 2001, 2002, and 2003, respectively." The opinion is rather cryptic, certainly as to the facts leading up to the assessment, so it is difficult to assess precisely what triggered the substantial penalties. James proceeded to create an irrevocable foreign trust in Nevis, West Indies, with First Fidelity Trust Limited (FFT) as its trustee. James initially funded the trust in 2001 with a contribution of $192,000. He made additional contributions of $805,000 in 2002 and $607,146 in 2003. James urged that he informed his accountant about the trust and relied upon his accountant to advise him and prepare the Forms required from these actions. The Government argued that "James was put on notice of the requirement to file Form 3520, the Government argues that his reliance on Famiglio cannot constitute reasonable cause." From the wording of this sentence, it would appear that the Government's argument is that factually James was put on notice and that notice was what made his reliance on the accountant untenable. The opinion, however, does not flesh that out, and I suppose that whether James really had some independent notice that made reliance on his accountant untenable is really a question of fact. The IRS has failed to issue regulations explicating the meaning of "reasonable cause" for failure to file Form 3520. In general, reasonable cause exists when a taxpayer exercises ordinary care and prudence in determining his tax obligations despite his failure to comply. See I.R.M. 20.1.1.3.2 (11-25-2011). Whether reasonable cause exists depends upon all of the facts and circumstances of the case, including the taxpayer's reason for failing to properly file, and the extent of his efforts to comply. Id. Moreover, the Internal Revenue Manual ("IRM") provides that ignorance of the law may provide reasonable cause if: "A. A reasonable and good faith effort was made to comply with the law, or B. The taxpayer was unaware of a requirement and could not reasonably be expected to know of the requirement." I.R.M. 20.1.1.3.2.2.6 (11-25-2011). A recent article describes the entry by the Swiss data protection commissioner into the fray about the data turnover to the U.S. of bank employee information. Matthew Allen, Data protection watchdog supports bank staff (swissinfo.ch 8/22/12), here. Hanspeter Thür has written to several banks to determine what data has already been transferred to the US Department of Justice and how they justified including telephone numbers and written correspondence. Several bank staff have complained that this has left them open to criminal prosecution for aiding and abetting tax evasion. Even employees that had nothing to do with advising clients are too fearful of travelling abroad in case they get extradited to the US. Thür threatened legal action against banks that fail to comply with his demands for information. Defending the government's April decision to allow the data transfer, Finance Minister Eveline Widmer-Schlumpf told the Tribune de Genève newspaper it was the only way to avoid "destroying workplaces". "What was the alternative?" she said in the interview. "What would have happened had we forbidden the banks from cooperating and left them with no means to defend themselves against this procedure?" DOJ Tax has announced the conviction of Dr. Arvind Ahuja on one count of filing false tax returns (tax perjury, Section 7206(1)) and one count of failing to file the FBAR. The press release is here. Taxpayer: Dr. Arvind Ahuja, a "prominent neurosurgeon"
The USAO SDNY has announced the guilty plea of DOJ Tax has announced the sentencing of Jacques Wajsfelner, a former Credit Suisse and Wegelin client. The USAO press release is here. Admissions: Failed to file FBARs from 1995 through 2011; filed false income tax returns by omitting information about his Swiss accounts; "failed to make voluntary disclosures under the IRS's Voluntary Disclosure Program." In United States v. Kerekes, 2012 U.S. Dist. LEXIS 115280 (SDNY 2012), here, Judge Baer of SDNY imposed restitution against one of the individual defendants in the massive BDO Seidman tax shelter case, but apportioned the restitution so that the defendant, who pled to a conspiracy count for the large conspiracy, is liable for only a portion of the tax loss. Here are the points I believe are key. 1. The defendant pled to the overarching conspiracy count, a Klein conspiracy count under 18 USC 371, here, and to one count of tax evasion, 26 USC 7201, here. 2. The defendant was sentenced to "one-year sentence, six months incarceration, and six months home confinement, a $50,000 fine and a $200 special assessment." 3. Although the Mandatory Victims Restitution Act ("MVRA"), 18 USC 3663A, here, does not apply to the tax crimes established in Title 26, it does apply to conspiracy under Title 18. Hence, Kerekes was subject to mandatory restitution. 4. The amount of restitution is normally the loss to the victim. For Klein conspiracies, the victim is the United States via the IRS. According to the judge's calculations (after removing some of the claims made by the prosecutors) "the total loss is $61,922,963.96 ($29,547,426.96 attributable to taxes owed and approximately $32,375,537.00 in interest)." In making this calculation, the judge found that calculating the restitution did not require certainty and would permit reasonable estimates (which he made). I just posted a blog entry titled Do Prosecutors Have Too Much Power? (8/20/12), here. I refer to a debate among scholars, one of whom is Professor Nancy Gertner of Harvard Law School. Professor Gertner is a former federal judge. Before becoming a judge, her law firm became involved in one of the cases that plays a prominent role in my Federal Tax Procedure and Tax Fraud and Money Laundering classes and the texts spawned from these classes. The case -- United States v. Gertner, 65 F.3d 963 (1st Cir. 1995), here -- relates to the IRS's improper use of the John Doe Summons, so I thought I would discuss that case since the John Doe Summons has played such a prominent role in many IRS initiatives (including the offshore bank initiative). The IRS's general compulsory process is the IRS administrative summons. The IRS administrative summons identifies the taxpayer whose liabilities are being investigated and compels the party summonsed to give testimony and/or produce documents related to that investigation. In many respects, it is like a grand jury summons, but the grand jury summons does not have to identify the party or parties being investigated and, practically speaking, the perceived compulsion behind a grand jury summons is much greater than for the IRS administrative summons. Still, the IRS administrative summons is a significant power. See, e.g., Kim Dixon, IRS wields summons to pry info out of wealthy, companies (Reuters 8/17/12), here. The IRS does not have to answer to anyone in issuing the summons. It just fills out the form and delivers it to the party summonsed. In most cases, the IRS does have to notify the taxpayer that the summons has been served when the party summonsed is other than the taxpayer. But that is about it. that the investigation will be conducted pursuant to a legitimate purpose, that the inquiry may be relevant to the purpose, that the information sought is not already within the Commissioner's possession, and that the administrative steps required by the Code have been followed * * * . ANGELA J. DAVIS, AUTHOR, "ARBITRARY JUSTICE"
The uses and abuses of the prosecutors' power -- often called prosecutors' discretion -- is a constant feature in federal practice generally and federal tax crimes / white collar practice specifically. Focusing on the tax crimes area, the various crimes that can be marshaled to support tax charges are many and overlapping, thus permitting great power / flexibility in charging decisions. While, in some respects, the Sentencing Guidelines and Booker discretion take away much of the potential for abuse from discretion as to charges, they do leave untouched broad areas of the prosecutors' discretion / powers that can be brought to bear. The discussion among these debaters is highly recommended. Reports are that the Swiss banks are ratting out their employees. See Giles Brown, HSBC, Credit Suisse Sacrifice Employees To U.S., Lawyers Say (Bloomberg 8/16/12), here. Swiss banks are turning over thousands of employee names to U.S. authorities as they seek leniency for their alleged role in helping American clients evade taxes, according to lawyers representing banking staff. At least five banks supplied e-mails and telephone records containing as many as 10,000 names to the U.S. Department of Justice, according to estimates by Douglas Hornung, a Geneva- based lawyer representing 40 current and former employees of HSBC Holdings Plc’s Swiss unit, Credit Suisse Group AG (CSGN) and Julius Baer Group Ltd. (BAER) The data handover is illegal, said Alec Reymond, a former president of the Geneva Bar Association, who is representing two Credit Suisse staff members. This criminal case involves sophisticated financial structuring through the interplay of related corporate subsidiaries in the context of the insurance business. While such financial structuring is not inherently improper, here the two Appellants, William Allen Broughton ("Broughton") and Richard William Peterson ("Peterson"), were convicted of conducting a modern-day financial shell game in which they falsified financial statements, exchanged paper ownership over non-extant fraudulent assets, and collected insurance premiums and monthly payments from unwitting innocents. For a little over two years beginning in 1996, the Internal Revenue Service conducted an undercover investigation into insurance fraud in the United States and overseas. In particular, the investigation was directed at individuals and corporations who marketed themselves as insurance providers on the basis of rented assets. Such companies sought to collect insurance premiums while never intending to pay out on any meritorious claims. As will be discussed below, the undercover agents learned of numerous companies, some of which were operated by Appellants, that engaged in a conspiracy to operate in such a fashion. A plain reading of § 3292 demonstrates that a district court's decision to suspend the running of a statute of limitations is limited to two considerations: 1) whether an official request was made; and 2) whether that official request was made for evidence that reasonably appears to be in the country to which the request was made. Id. If both those considerations are met, the statute of limitations "shall" be suspended. Id. Therefore, the issue before us is whether those conditions were satisfied. In United States v. Godat, 20121 U.S. App. LEXIS 16463 (Eighth Circuit 2012), here, the Eighth Circuit rejected an appeal claiming error in the sentencing judge's possible reliance on factual allegations covered in the Probation Office's confidential recommendations. The defendant pled guilty to "evading currency-transaction reporting requirements in violation of 31 U.S.C. § 5324(a)(3) and with evading taxes in violation of 26 U.S.C. § 7201." Godat first argues that the district court violated his Fifth Amendment right to due process and his Sixth Amendment right to confrontation by considering and relying on factual allegations contained in a confidential sentencing recommendation prepared by the probation office that Godat was not allowed to see or challenge. The Due Process Clause of the Fifth Amendment is implicated when a sentencing court considers evidence that the defendant "had no meaningful opportunity to rebut," and only then when that consideration results in "a sentence based on material misinformation." Kohley v. United States, 784 F.2d 332, 334 (8th Cir. 1986) (per curiam). The Confrontation Clause of the Sixth Amendment is implicated when consideration by the sentencing court of evidence that the defendant was not given an opportunity to rebut results in a defendant being "sentenced on the basis of 'misinformation of constitutional magnitude.'" United States v. Wise, 976 F.2d 393, 402 (8th Cir. 1992) (en banc) (quoting United States v. Tucker, 404 U.S. 443, 447 (1972)). The record is thus unambiguous that Godat's sentence did not result from the consideration of facts from the confidential recommendation. Even if the district court had considered these facts in determining Godat's sentence, Godat's claims still would require that the district court considered some piece of misinformation, and the allegations regarding Godat's use of the victim's funds were disclosed to him at sentencing, where he confirmed their accuracy. For these reasons, we reject Godat's Fifth and Sixth Amendment claims. I write to rant about a practice inside the OVDI/OVDP civil penalty structure. I start with the relevant Code sections, 6501, here, and 6511, here. Section 6501(a) provides a 3 year statute of limitations for assessments. Section 6501(c) provides certain exceptions to the 3 year limitations on assessments. The key exception for present purposes is the Section 6501(c)(1) "a false or fraudulent return with the intent to evade tax," for which there is no statute of limitations. (I ignore the 6 year statutes of limitations that might apply, and assume for present purposes they do not apply.) Section 6511(a) provides a statute of limitations for refunds. Basically, the taxpayer filing a timely original return and paying the tax has 3 years in which to file a claim for refund of the tax. The OVDI/OVDP programs have involved a lookback window from 2003 forward. (I ignore the possibility of a later starting date under 2012 OVDP but even if a later starting date were involved, the concepts discussed in this blog would still apply.) The taxpayer is required to file amended returns during that lookback period and pay all applicable taxes. 2003 – additional tax reported on the OVDP/OVDI amended return - $1,000. 2005 – additional tax reported on the OVDP/OVDI amended return - $1,000. Assume the years 2003-2005 are closed for assessments and refunds. As to assessments, assume that the IRS has not made a specific finding of fraud as to the taxpayer and, should it investigate, could not prove fraud by clear and convincing evidence so as to invoke Section 6501(c)(1). In this case, the IRS will not give the taxpayer credit for the $1,000 overpayment for 2004, even though it collects the underpayments for 2003 and 2005. I have previously blogged on Section 7609(e)(2)'s suspension of the statute of limitations upon nonresponse to a summons after 6 months from the date of service of the summons. See John Doe Summonses & Statutes Of Limitations (5/27/11), here. (B) ending with the final resolution of such response. The complete Section 7609 is here. Our counsel has recently brought to light the fact that the statute of limitation for years 2002 through 2007 have been extended due to code section 7609(e)(2). This is because a John Doe third party summons was issued to UBS and it took more than 6 months for UBS to provide the information. The result is an additional 814 days added to these statutes. We have been informed that the United States Internal Revenue Service ("IRS") submitted a new request for administrative assistance to the Swiss Federal Tax Administration (the "SFTA") pursuant to Article 26 of the Convention of October 2, 1966 between the Swiss Confederation and the United States of America with respect to Tax on Income ("the 1996 convention"). The IRS is seeking information with regard to accounts of certain U.S. persons owned through a domiciliary company (as Beneficial Owners) that have been maintained with CREDIT SUISSE AG ("CREDIT SUISSE") in Switzerland (as applicable in a given case in the "IRS Treaty Request") at any time during the years January 1, 2002 through and ending on December 31, 2010. In connection with the IRS Treaty Request, the SFTA has issued an order directing CREDIT SUISSE to submit responsive account information to the SFTA. This order is immediately executable and CREDIT SUISSE as an information holder has no right to appeal. This letter provides notice to you that the CREDIT SUISSE account of which you have or had the beneficial ownership appears to be within the abovementioned scope of the IRS Treaty Request. - Consent to the SFTA's sending the account information directly to the IRS, see #1 below. - Appoint within 20 days an agent or lawyer in Switzerland to receive all official notifications by the SFTA as described under #2 below. Should you have any questions, please consult the CREDIT SUISSE website at www.credit-suisse.com or call our dedicated team at CREDIT SUISSE AT 40 44 335 60 00. If, after comprehensive examination of your account information, the SFTA comes to the conclusion that information related to your CREDIT SUISSE account is required to be provided to the IRS pursuant to the 1996 Convention, the SFTA will render an appropriate final decision and notify your agent or lawyer in Switzerland. The authority will then advise your agent or lawyer of your fight under Swiss law to appeal such a decision by the SFTA to the Swiss Federal Administrative Court. The SFTA has asked us to point out that if you choose to appeal such a decision, you should be aware that (I) Title 18 United States Code Section 3506 provides in Section (a) that "any national or resident of the United States who submits, or causes to be submitted, a pleading or other document to a court or other authority in opposition to an official request for evidence of an offense shall serve such pleading or other document on the Attorney General [of the United States] at the time such pleading or other document is submitted" and (ii) you should consult with a qualified lawyer concerning whether to appeal any such decision of the SFTA and concerning any obligations you may have under Section 3506 of Title 18 of the Unites States Code. Please be advised that CREDIT SUISSE is not able to provide any information on whether or not information with respect to a specific account will be provided to the IRS. Because CREDIT SUISSE will not be made aware of this decision, this information can be obtained only from SFTA. There are new reports that a German state has paid a whistleblower with Swiss bank information on German tax cheats. See Matthias Inverardi, German tax probe prosecutors act on new Swiss data leak (Reuters 8/9/12), here. The German state of North Rhine-Westphalia is pursuing tax evaders who secretly stashed cash in Switzerland, prosecutors said on Thursday, after they obtained new bank data from a presumed whistleblower. A spokesman for the NRW prosecutor declined to say which bank or banks the latest information came from but the Financial Times Deutschland reported that the towns of Wuppertal and Aachen had purchased two CDs from a whistleblower, including data from UBS. The paper said the first disc carried data from Switzerland's biggest bank, including "big names", and that the second disc contained information on a smaller bank. Senior SPD member Joachim Poss said that buying the tax data was the best weapon to use to combat tax evasion. "The purchase (of CDs) is far more effective than a lousily agreed tax deal with Switzerland which is full of loopholes," Poss told Reuters. Question, would the IRS be better off to just offer huge rewards to the Swiss bankers (who are, after all, in it for the money anyway)? Circuit Splits Blog had this break down on conflicting lower court opinions as to whether a defendant's pre-arrest silence used as evidence of guilt violates a defendant's Fifth Amendment privilege. Can Prosecutors Use a Defendant's Pre-Arrest Silence as Evidence of Guilt? (8/9/12), here. The circuit split identified in the blog is 5 to 2, with 5 appellate courts saying the pre-arrest silence is subject to 5th Amendment protection and 2 holding that it is not. These are fact based case resolutions, so it is hard to know exactly where the line might be drawn in the cases criminal and civil tax practitioners usually face. Usually, tax practitioners deal with a situation where the IRS agents -- civil or criminal -- made some type of accusation that, in the normal course of human events, innocent persons might -- might -- deny. If the agent were a criminal agent, he or she would likely have first read the witness the modified Miranda warnings, but as some of the cases note, giving even the Miranda warnings does not permit the prosecutors to rely upon silence. (How could it be otherwise for often the defendant in the dock does not speak and the prosecutors cannot rely on that silence?) In a criminal tax trial, the issue would be whether the defendant's silence to accusations or evidence that indicates a tax crime can be used as evidence of guilt of the crime. At approximately 10:00 p.m., Customs Agents Salazar and Wilmarth escorted Velarde to an interview room, where Agent Salazar informed Velarde that Customs had found the marijuana. Velarde did not speak or physically respond. At some later time (the district court used a time of four and one-half hours, but expressed no view on the accuracy of this fact), Agent Salazar read Velarde his Miranda rights. Velarde then waived those rights and subjected himself to questioning. US may target Swiss bankers travelling in Europe (Swissinfo.ch 8/6/12), here. The Wall Street Journal Law Blog today reports that David K. Parse, the sole defendant in the Daugerdas case who was not dismissed for juror misconduct, has filed a 2255 proceeding alleging that his attorneys rendered ineffecitve assistance of counsel in the actions or inactions that cause Judge Pauley to not dismiss his conviction. See Chad Bray, Tax-Shelter Fraud Defendant Seeks New Trial Over Ineffective Counsel (WSJ Law Blog 8/7/12), here. For my prior blog on the dismissals and refusal to dismiss Parse, see Daugerdas and Others, But Not All, Get New Trial (6/4/12; revised 6/22/12), here. In response to my initial blog, one commenter, Joe diRuzzo, presciently said: "Jack, I see a 2255 petition in the near future for Parse." 2255 is the shorthand for 28 USC Section 2255, here. Normally, a 2255 proceeding is the procedure to argue: (1) that the sentence was imposed in violation of the Constitution or laws of the United States; (2) that the court was without jurisdiction to impose such sentence; (3) that the sentence was in excess of the maximum authorized by law, and (4) that the sentence is otherwise subject to collateral attack. Ineffective assistance of counsel the grounds most frequently asserted. A Section 2255 occurs after normal appeals have occurred. According to the WSJ Law Blog, Parse has filed some type of proceeding but it is not called a 2255 proceeding in the article, but as described it seems to cover ground often covered in 2255 proceedings. And some courts say that the ineffective assistance of counsel issue may be raised in a motion for new trial. Presumably that is the procedural posture for this motion. In a court filing late Tuesday, Paul Shechtman, Mr. Parse’s new lawyer, said the failure of his prior counsel to alert the court “constituted ineffective assistance” and he should be granted a new trial. The New York Times reports that Standard Chartered Bank is under investigations of its dealings iwth Iran and perhaps other terrorist affiliated countries. Jessica Silver Greenberg, British Bank Accused of Hiding Transactions With Iranians (NYT 8/6/12), here. Thwarting controls against money laundering, Standard Chartered Bank enabled Iranian banks and corporations to hide roughly 60,000 transactions worth at least $250 billion within the bank, New York State’s banking regulator charged Monday. The New York State Department of Financial Services accused the British bank, which it called a “rogue institution,” of hiding the transactions to gain hundreds of millions of dollars in fees from January 2001 through 2010. Under United States law, transactions with Iranian banks are strictly monitored and subject to sanctions because of government concerns about the use of American banks to finance Iran’s nuclear programs and terrorist organizations. The highest levels of management knew that Standard Chartered was deliberately falsifying records to allow billions of dollars in transactions to flood through the bank, according to the regulatory filing. The bank “left the U.S. financial system vulnerable to terrorists, weapons dealers, drug kingpins and corrupt regimes,” the agency said in an order sent to the bank Monday. At the most extreme, the agency’s enforcement actions against the bank could include the revocation of its license to operate in New York. Beyond the dealings with Iran, the department said it discovered evidence that Standard Chartered operated “similar schemes” to do business with other countries under United States sanctions, including Burma, Libya and Sudan. Readers of this blog may be interested in this blog that I just posted to my Federal Tax Procedure Blog: Does the Preparer's Fraud Invoke the Unlimited Statute of Limitations? (8/5/12), here. To summarize the Tax Procedure Blog entry, I argue error in the Tax Court's holding in Allen v. Commissioner, 128 T.C. 37 (2007), here,that the preparer's fraud can, alone, invoke the unlimited statutes of limitations for a fraudulent return in Section 6501(c)(1), here, . In the discussion, I discuss the relationship of the unlimited statute of limitations for fraud in Section 6501(c)(1) to the civil fraud penalty in Section 6663(a), here. I also discuss the potential applicability of the Allen argument to abusive tax shelters such as involved in United States v. Home Concrete, ___ U.S. ___ 132 S.Ct. 1836 (2012), here, where the Supreme Court held that the Section 6501(e) six-year statute of limitations did not apply to overstated basis in abusive tax shelters where, at least in many of the cases, the returns were fraudulent because of actions other than the taxpayers (the enablers). I had an earlier posting on this general subject on this Federal Tax Crimes Blog, Civil Tax Statute of Limitations for Fraudulent Tax Shelters (12/19/09), here. An article in Tax Notes Today reports that the IRS has submitted a "new, reformulated" treaty request to the Swiss Federal Tax Administration under the Exchange of Information provision of the U.S./Swiss Double Tax Treaty. Kristin A. Parillo and Marie Sapirie, IRS Submits New Treaty Request to Switzerland on Credit Suisse Data, 2012 TNT 151-6 (8/6/12). The court held that the request -- which didn't specifically identify the names of targeted bank clients but instead sought information on clients who had allegedly concealed U.S. income and assets with the assistance of bank employees -- was too vague, was based on search criteria indicating only tax evasion and not tax fraud, and was not sufficient to require cooperation by the Swiss tax authorities under the current Switzerland-U.S. tax treaty. The TNT article cites a Swiss newspaper as indicating that (i) the reformulated request provides "a more detailed description of the manner in which the bank and clients concealed U.S. income and assets"; (ii) the "FTA directed Credit Suisse to inform affected clients by July 31 that their information is subject to disclosure under a treaty request made by U.S. authorities;" and (iii) "The new request affects fewer than 100 U.S. clients." U.S. Makes New Request to Swiss for Information on Alleged Tax Cheats (adr.com 8/30/12), here. Just going through a stack of deferred reading today and came to my UVA Lawyer magazine for Fall 2011 (long overdue). This issue included some articles in honor of William J. Stuntz, professor at UVA Law. I did not know him personally, but he seems from these articles like a great guy. One interesting article is by Cullen Couch titled Criminal "Justice" Demanding Certainty in an Uncertain World, here. The focus in the article is the systemic pressures in a criminal justice system defined by large measures of prosecutorial discretion to pick and choose who gets prosecuted. These can result most immediately in the conviction of the innocent but in the uneven application of the law.